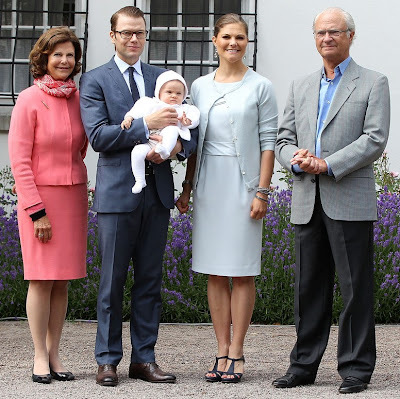 Celebrating her birthday at Solliden, 14 July, with the rest of the family including Princess Estelle, the most serious baby ever. 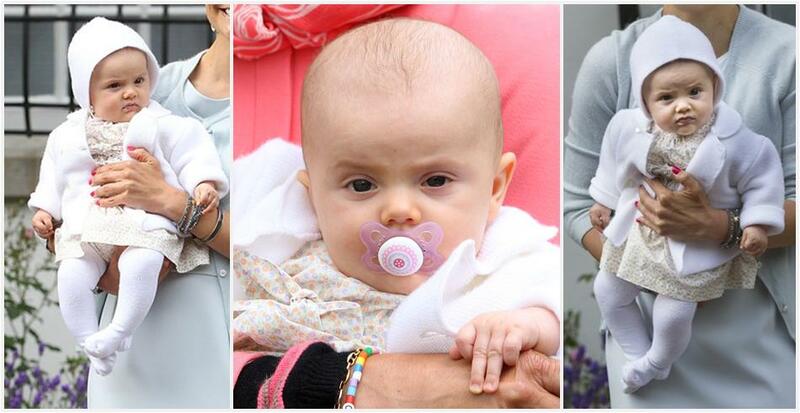 I don't think Estelle likes the look of you. 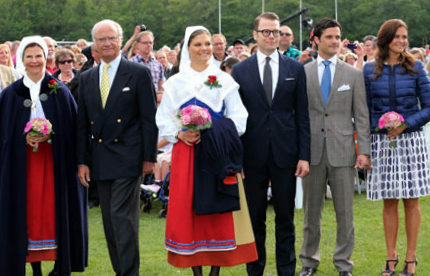 Later on Carl Philip and Madeleine joined the fun for the annual concert, where Madeleine wore summer everything (including the same sandals as her sister from the morning) plus a winter coat. So, the King's tradition of undignified rain gear on his daughter's birthday is alive and well for another year! Huzzah.